In a country where most consumers are coffee lovers, TWG Tea is on a mission to spread tea appreciation in the Philippines. I've never been to a tea party of any kind and wouldn't pass up on the chance to learn more about tea. Little did I know I would receive one during the Shang Gourmet Strip media launch. I tagged along my friend Leo and we found ourselves seated with fellow bloggers on a fine Thursday afternoon. 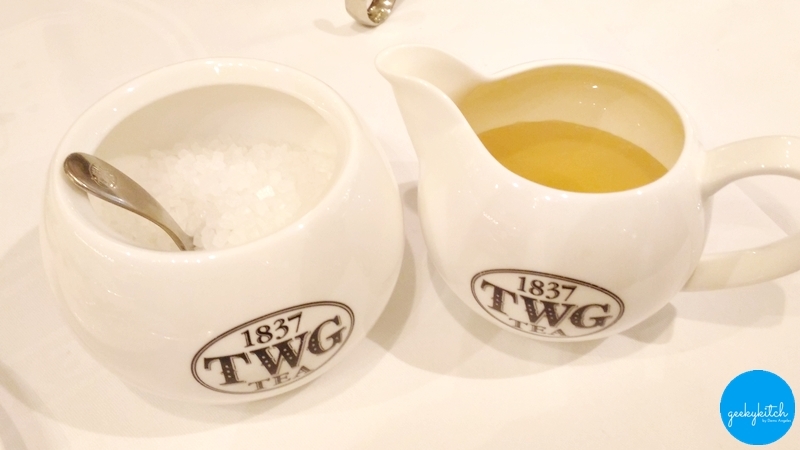 Contrary to popular belief, TWG was established in Singapore in the year 2008. '1837', written as part of the company's logo, refers to when Singapore became a center of trade. The store is divided into two areas. 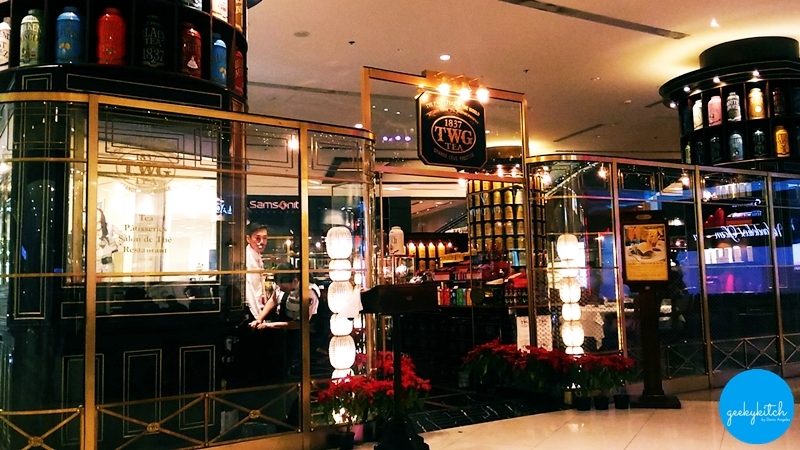 There are currently 30 TWG Tea Salons and Boutiques in 15 countries. Buy tea products (loose and packaged teas, teabags, and tea accessories) at the Boutique or dine at the Salon. TWG Tea serves tea-infused pastries and savouries. Name it, they have it: macarons, entremets, tarts, tea breads, scones, muffins, cookies, chocolates, ice creams and even mooncakes! 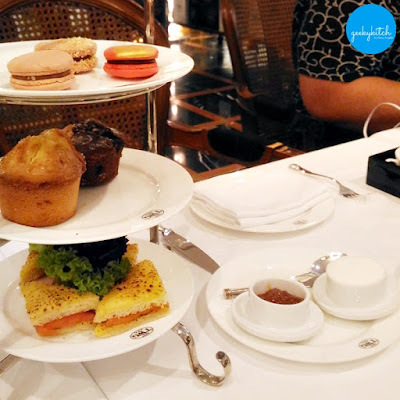 Afternoon High Tea set served with Tea Jelly (must try!) and freshly made whipped cream. Moving on to tea culture.. There are two major categories of tea and six tea types. Single estate tea are pure tea leaves. Tea blends, on the other hand, are those mixed with fruits, flowers, spices, nuts, etc. The tea types will be discussed on a separate post. A tea can only be called as such if it comes from Camellia sinensis. The popular Chamomile tea is actually classified as herbal tea. 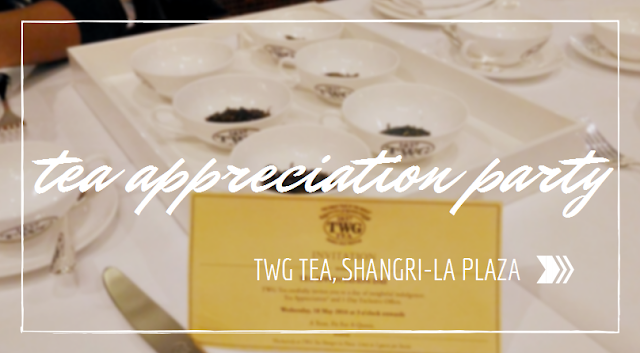 To date, TWG Philippines has 439 varieties of tea. 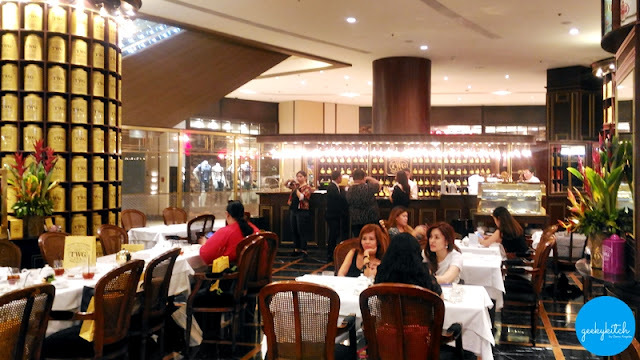 In Singapore, they currently have 850 varieties and counting. Number of official tea producers worldwide: 25 countries. China is the biggest producer AND the only country that produces all six types of tea. The Philippines is not yet a tea-producing country. We will soon have one hailing from Benguet! There's a variety of tea for those who are skipping coffee but need the energy boost. African broken tea has the same amount of theine (caffeine in tea culture) as an espresso shot. 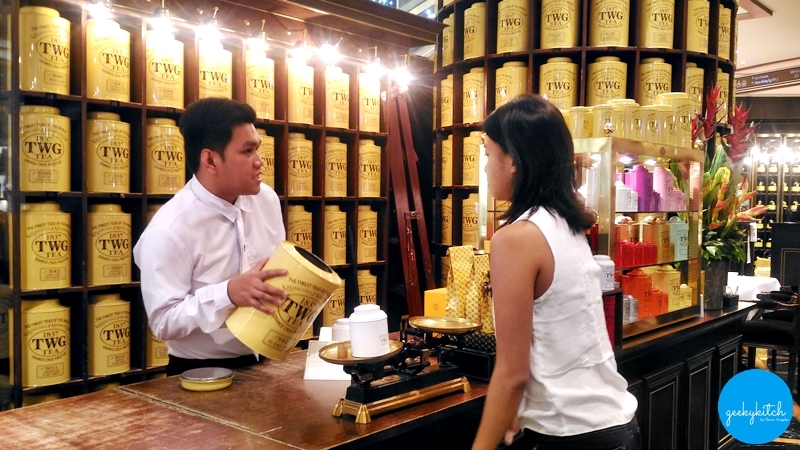 TWG Tea has thirteen (13) varieties you can choose from. You can best appreciate tea by drinking it as it is. According to Enzo, adding lemon, lime or honey changes the taste profile of your drink. If you want to add a little sweetness, use sugar crystals or sugar syrup instead. They weren't kidding when they said we wouldn't leave the store without appreciating TWG Tea and its gastronomy!